If you are looking for a versatile costume for your kiddo this Halloween, then you need not look any further. Check out this Child Black Skin Suit! It will be perfect for multiple costumes. For starters, your kiddo can dress up as the dark. What’s more terrifying than pure darkness? Maybe your little one isn’t interested in scaring people this Halloween. Maybe he’s more of the heroic type. Well, then grab him an awesome hooded cape and he can run around as a crime-fighting vigilante. Even the vilest of villains will be afraid of the dark when it starts fighting back! Of course, your little one could also go down the funny route with this skin suit. Grab him a couple of zany accessories to wear, like a goofy wig, a silly tutu, an awesome pair of light up shoes, and a random assortment of glow sticks, for example. In the right light (that being pretty much no light) it will look as if some ludicrous paranormal activity is afoot! 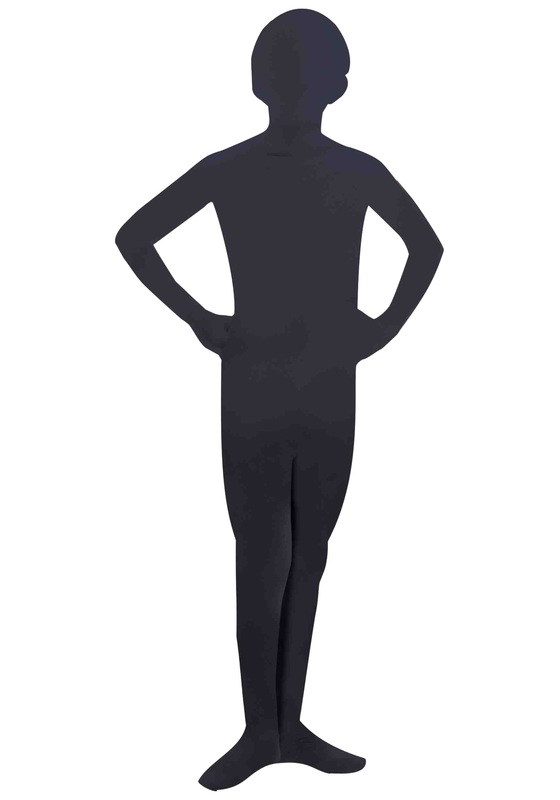 Grab this Black Skin Suit for your kiddo and let the Halloween fun begin!